Buffet breakfast with opportunity to network. Family members are welcome to join us for the meal. Brief introduction from a representative from each utility and government agency present on the one topic they would most like to discuss during the roundtable and the one item that they would most like to learn or share during this event. Facilitated discussion that includes what are anticipated to be greatest customer program challenges in 2015 and other topics identified most in earlier discussions or "written in" during a pre-event survey. Buffet lunch with opportunity to network. Families are welcome to join us. Last year Suzanne Shelton laid out the challenges that get in the way of engaging customers in energy efficiency — from their false perceptions that they simply don't have an energy efficiency problem to siloed and "safe" marketing efforts from utilities. 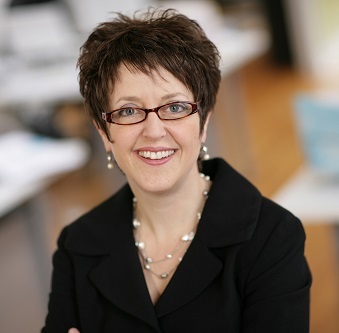 Suzanne will share fresh insights from her firm's ongoing polling of Americans, and talk through results and lessons learned from the Do 5 Things program she highlighted last year, as well as from a statewide PSA campaign program her firm ran in partnership with DTE, Consumers Energy, Michigan Saves, and Dow Chemical in Michigan as well as the early results from both programs. See Suzanne's latest efforts at www.avoidenergydrama.com and www.fiveworx.com. Discussion of a case study that explored the ability of curriculum-based exercises at school to improve cognitive learning about electricity consumption, influence student perceptions about the school's motives for conducting curriculum-based learning exercises, and positively influence electricity-conversation behaviors at school and home. The school reduced electricity use by 36% and the students at home reduced electricity use by 15.5%. Discover how Black Hills Energy was able to integrate their commercial energy-efficiency programs to make a historic Southern Colorado community more energy-efficient. We'll discuss the different energy-efficiency programs, the resulting reduction in energy usage and costs, and the potential applications and extensions of this idea. 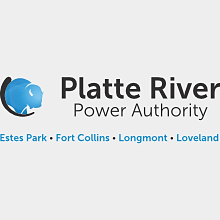 Learn how Platte River and its four owner municipalities collaborated to create one overarching program that includes all of their efficiency programs into one. This session will present insights, lessons learned and market trends in the development of financing products for home upgrades, from DOE's portfolio of Better Buildings Neighborhood Program partners and the US energy efficiency finance market at large. The session will highlight opportunities for program sponsors, utilities and financial institutions to leverage the HUD PowerSaver Loan Program for home energy efficiency and renewable upgrades. Quick overview of what the poster presentations have to offer. Lightning round of sponsor introductions. Hosted bar and hors d'oeurves among the sponsor displays and posters. Evolutionary Savings for Natural Gas Programs, Matt Daunis, Black Hills Energy, and Allie Marshall, Cadmus. This presentation focuses on the unique challenges gas-only utilities face in providing cost-effective efficiency program portfolios while optimizing net benefits. 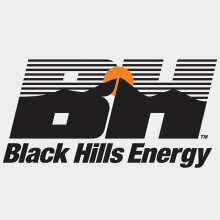 Using Black Hills Energy's recent natural gas plan as our case study, we will highlight two new programs that intend to enhance the customer experience and achieve greater savings. PVREA Headquarters Converts to Geothermal Heat Pumps, Mike Rubala, Poudre Valley Electric Association. Learn how a utility accomplished a comprehensive energy upgrade to its main office, going from air source to geothermal heat pumps and more. Data-Driven Active Energy Management: Unlocking Low-cost Savings, Erica Sparhawk, CLEER. Easy access to 15-minute energy data is helpful in achieving energy savings from operational changes and retrocommissioning, but data is only one link in the chain. Unlocking savings for commercial customers requires organizational readiness, plus good data. We will show ways to cost-effectively assist organizations and how utilities can participate. An Industry in Transformation: What It Means for Energy Service Providers, Marie Bahl McKenna, Tendril. In order to meet the needs of their constituents, utilities are evolving as energy service providers. This presentation will focus on key questions, challenges and opportunities facing the energy industry. In particular, how utilities are turning demand-side challenges into revenue opportunities, with a focus on distributed generation, residential solar, energy storage and improved customer engagement. Program Transformation: Data Handling Efficiencies, Andy Bardwell, OptiMiser. Learn how three energy-efficiency programs radically transformed processes to increase efficiency -- cutting staff time dedicated to data handling, project management and reporting -- by standardizing processes and data, streamlining communications with homeowners and contractors, and cutting down on data entry errors by using HPXML. See the real impacts of how improved contractor satisfaction with a reporting/modeling tool and improve program productivity. LED Technology Helps Prominent Denver LEED Platinum Office Tower Double-Down Savings in Parking Garage, Jennifer Lawrence, CREE with Jacqueline Ducharme, Xcel Energy Case study of the issue/problem, partnerships, utility involvement, savings, and results drafted by Xcel Energy that we will be expanding on to include the topic of commissioning. This case study will help inspire utilities to find savings opportunities for LEED certified buildings with LED technology. 8:00 - 8:30am Messaging Makeover: Is it Time to Audit Your Marketing? Fort Collins Utilities has blazed a new path in the world of energy design assistance programs for new construction and major renovation. Their new program, based on the Architecture 2030 Challenge, offers Design, Construction and Performance Incentives for owners and design teams. The final Performance Incentive is dependent on the actual measured Energy Use Intensity in kBtu/sf/yr! Panel discussion about Recommissioning offering by various utilities designed to identify and implement low-cost/no cost measures in existing facility systems in smaller buildings traditionally not eligible to participate in the full Recommissioning program. Efficiency Works was launched January 2014 in Northern Colorado to provide a more uniform and easily accessible format for commercial rebates and services. Discover how they have implemented an alternative tactics to increase program participation and drive preferred technologies by offering free facility assessments and supplemental grants to business customers who implement efficiency measures. Michelle Beaudoin, Xcel Energy and Chandan Rao, Graphet Inc. Although the U.S. industrial sector has significantly reduced its overall energy consumption, opportunities still exist for further energy savings. The challenge currently facing utilities is to design and deliver cost effective energy efficiency programs that uncover these opportunities. This session explores how Xcel Energy's Process Efficiency program achieves sustainable energy practices in this sector through a customized, holistic approach. This approach has proven success in identifying and overcoming the unique barriers that large industrial organizations typically face when developing and implementing energy efficiency plans. Learn how by utilizing data mining, this three phased program successfully balances customer commitment and resources to deliver one of the most cost effective programs in Xcel Energys DSM portfolio. Panel discussion on how InfoWise from Xcel Energy & Energy Intelligence for Industry pilot in Minn. work with public institutions and C&I customers to leverage interval meter & sub-meter data to achieve ongoing, verifiable energy savings from behavioral changes. AMI deployment & declining data acquisition costs create a market opportunity for utilities to leverage behavioral programming with C&I customers as a tool to meet DSM energy savings goals. Fast-paced informal updates from panelists recruited from the audience. Fort Collins Utility, together with The Rocky Mountain Institute and other key contributors, is working to design impactful programs that can achieve high levels of customer adoption while providing new sources of revenue for the utility. 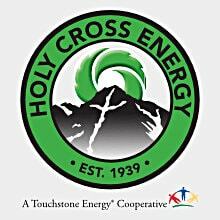 This multi-stakeholder team is working to develop a comprehensive "Integrated Utility Services" business model, which will enable the utility to more actively engage their customer base and help the city to realize progressive energy goals. Integrated Utility Services is meant to be a replicable model for utilities to deliver efficiency programs in a different way. RMI will present their work to date and share success stories of similar initiatives, demonstrating how utilities can employ these strategies. 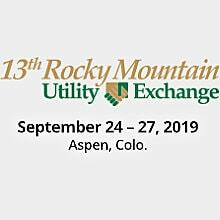 Panel discussion with members of the Energy Smart Colorado team will present on program achievements and goals to date, and how we help Colorado utilities cost-effectively achieve their EE goals. We will present our vision for growth throughout the state. Since 2009, the three Colorado natural gas utilities have worked collaboratively to deliver a comprehensive energy efficiency program portfolio to their customers scattered throughout the state. This presentation will highlight the successes and identify the challenges of tailoring program offerings to meet the needs across three different utility service territories. The majority of energy efficiency programs are not successful without actively engaging the trade allies to deliver services to customers. This presentation will examine how we engaged our contractors through a collaborative approach that includes a trade ally advisory group, mentoring and coaching, and other tools that motivate contractor participation. Understanding the segmented business models within the HVAC industry is critical to the success of any utility program. Learn why all HVAC incentive processes cannot be created equal. Focus will be placed on the three largest segments - commercial, residential and new construction, and how to maximize participation and energy efficiency savings in each. Gain insight about the Technology Performance Exchange (TPEx), developed by the National Renewable Energy Laboratory and available at www.TPEx.org. 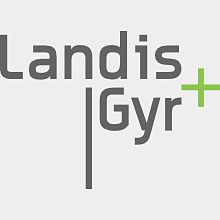 Discover this online repository that facilitates the transparent sharing of product-specific energy performance data. Many national retailers, manufacturers, and utilities have committed to use TPEx as a mechanism to improve technology evaluation workflows in an effort to speed the adoption of energy efficiency solutions in the built environment. This presentation will provide a brief overview of TPEx and explore how this resource is currently being used to reduce utility technology demonstration program barriers. Let's face it. We are breathing air in our homes that we cannot trust. Learn how to leverage the increasing attention that is being paid by the medical and insurance community to whole building solutions to lead a healthier and more comfortable life through building upgrades that also reduce energy use. Quick overview of Friday's learning and networking options. Your name badge is your ticket to complimentary cocktails at the 39 Degrees Lounge at the Sky Hotel, 709 E. Durant Ave. in downtown Aspen. This swanky lounge blends traditional ski-lodge touches with modern, sophisticated décor to make it one of Aspen's most happening spots. USA Today named it one of the top 9 snug hotel bars to warm you up in winter. Catch the free hotel shuttle to the center of town and you are just a couple blocks away. Learn more at www.theskyhotel.com. This fast-paced "exchange" of ideas was one of the top-rated sessions last year. Five minutes. Twenty slides, auto-advanced every fifteen seconds. That's switch~. Based on the same rapid-fire format that helped make TedX and Ignite Boulder popular, switch~ is a chance for people with great ideas about energy efficiency or whatever to share their thoughts. If you are interested in presenting a 5-minute, 20-slide presentation on any topic, send a note to Noah Lieb at [email protected] or Tiger Adolf at [email protected]. Learn more about this Pecha Kucha style of presentation at www.switch-energy.org. The water energy nexus has become a topic of interest to consumers and utilities alike for many reasons. The Movie "Watershed", produced and narrated by Robert Redford and directed by award-winning filmmaker, Mark Decena, explores new ways to view our water supplies and how we use water. It tells the story of the threats to the Colorado River through heartening character vignettes that reveal a new water ethic and 21st century solutions. Come join us for the movie and follow-on discussion on this important topic. 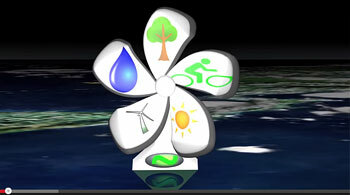 The Community Office for Resource Efficiency (CORE) works cooperatively with businesses, individuals, utilities and government entities in the Roaring Fork Valley to create measurable improvements in energy and water efficiency in order to benefit the environment and develop a more sustainable economy. The High Country Conservation Center is a community nonprofit in Summit County working towards a more sustainable community. 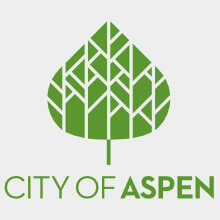 Program areas include energy efficiency, waste reduction, sustainable food production and sustainable business services. Cloud City Conservation Center (C4) is Leadville and Lake County's only non-profit organization devoted to environmental sustainability. We work closely with local governments, businesses, schools and community members to create and execute projects that increase energy efficiency and clean energy, reduce waste and toxicity, and increase recycling and re-use. Clean Energy Economy for the Region (CLEER) works to accelerate the transition to a clean energy economy, increase energy independence, and reduce our contribution to climate change. CLEER seeks and supports collaborative opportunities for research, education, advocacy and implementation of resource efficiency projects. The Office for Resource Efficiency empowers the Gunnison Valley to lower utility costs, develop renewable energy sources, decrease carbon emissions, increase access to local foods and build a more sustainable, self-sufficient economy. At Walking Mountains Science Center, we share our passion for the natural world in ways that make a difference. As an award-winning non-profit, we have been recognized for our efforts to preserve our natural surroundings and to promote environmental awareness and conservation. 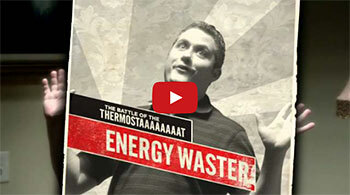 Homeserve and Energy Pioneers have innovated a unique Energy Efficiency retro-fit model that provides for a customer-centric approach that leverages a strategic marketing engine to deliver market-leading results in the residential weatherization space. Our turnkey program can be deployed without tapping into SBC/ratepayer dollars. This allows us to not only meet utilities targeted energy and demand savings targets, but also to delight utility customers and enable utilities to deepen customer relationships. Western Area Power Administration program is committed to improving energy efficiency through collaboration, training and effective planning. We offer our customers powerful tools to turn efficiency and conservation into energy resources. From workshops to websites to equipment loans, all are designed to build and strengthen utility energy management strategies.